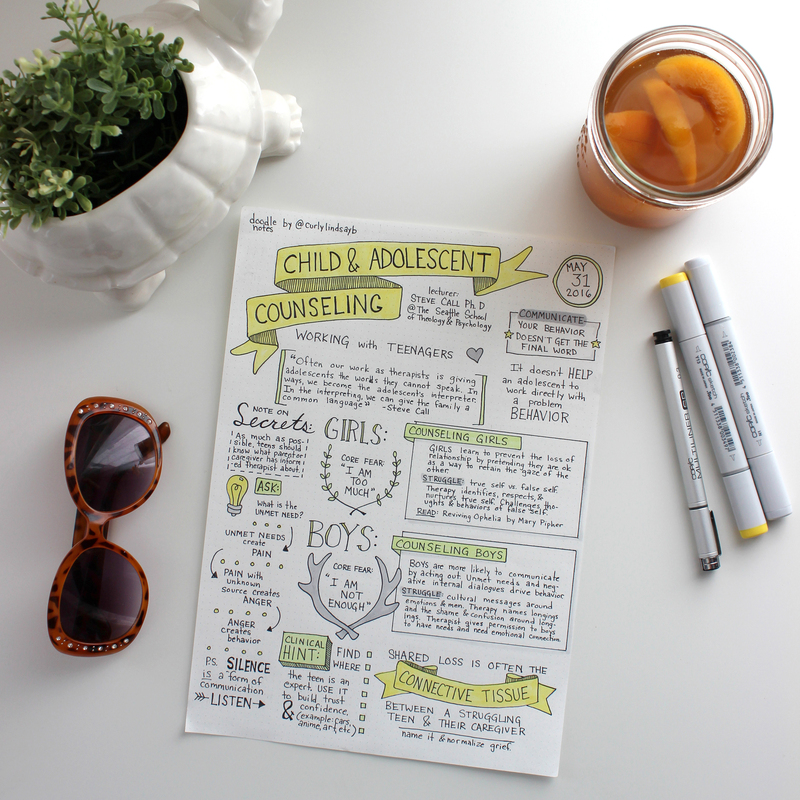 Seattle-based graphic recorder for hire for events, presentations, and consultation. 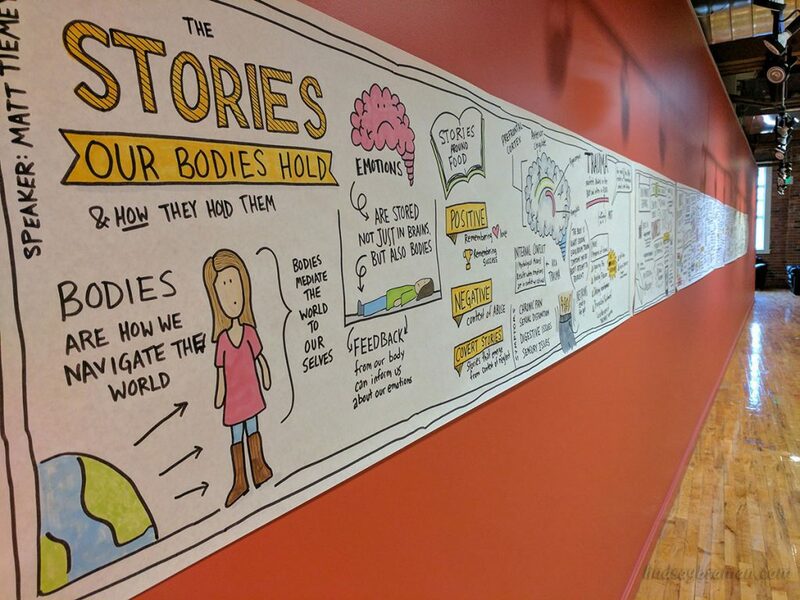 Make your next presentation, corporate training, or brainstorming session exciting and engaging via the addition of a live action illustrator. Rather than image-based illustration, which can distract from ideas, my unique skill is emphasizing words and ideas by illustrating your actual words. Do you want to make your audience talk about your presentation? Do you want to communicate more effectively to non-linear thinkers? Hold the attention of hard-to-impress VIPs? Shift anxiety-producing-attention from your appearance at the podium onto to your innovative ideas? Hire me to illustrate your next presentation live or via pre-recorded video. Thematic illustrations created in vivo help all listeners engage with the material presented, but particularly help deliver abstract concepts to visual thinkers, tactile learners, and highly creative audience members. The live-action method keeps your audience engaged and entertained, while understanding and remembering more of your content. I am based in Seattle and available to travel. See bottom of page for more info. We all have the ability to think visually and spatially, so why do most meetings and even brainstorming sessions operate in a linear and chronological format? One service I offer is attending your meetings and non-intrusively working on the sidelines to quickly pull ideas and concepts from conversations and then placing them visually on whiteboards or wall-sized tablets for your team to interact with. As development of ideas advances through your meeting or retreat, I continue adding your new ideas while locating and illustrating connections back to previous concepts. This connection method allows your team to see themes and connections easily missed when meeting minutes are created in a linear text-only form. Your team, when illustrated in my graphic recording method, can see their work in a different way, unlocking their own creativity, productivity, and efficiency. Contact me below to start a conversation about how I can help your team work more efficiently and creatively at your next meeting or retreat. This image shows my work from a 2017 conference displayed in a hallway where participants could review the timeline of the conference. 12 years in retail marketing and current education expereincing earning a masters degree in Psychology helped shape my unique take on learning, and how to communicate information in a way that is both engaging and effective. I would love to consult on your new project or collaborate with you to create worksheets or other visual learning materials that work. Rates start at $75 per hour plus a $30 materials-fee per day and reimbursement for any travel expenses outside the Seattle area. Use the form below to request a quote for your event. Contact Lindsay for more information.